The Brakes are your Honda vehicle's most important safety system for avoiding road hazards and maintaining control while driving. Making sure that your Honda's brakes are working properly is the key to ensuring the safety of you and your passengers, and preserving handling performance while on the road. Like many other makes, all four brakes on Honda cars have audible brake wear indicators. 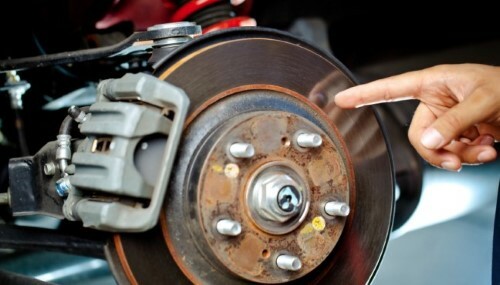 The unmistakable, loud metal-on-metal squeal or screeching sound under heavy braking is actually a feature designed to let you know when your brake pads are too thin and need to be replaced. 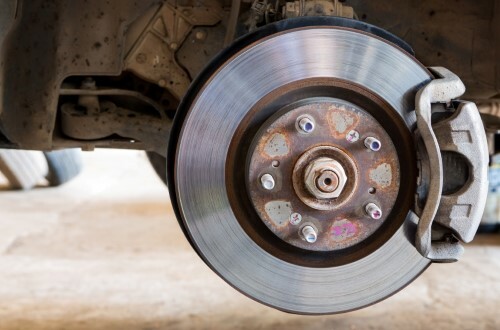 Don't confuse this with other sounds from your brakes, the minor squeaks you might hear under light braking when the brakes are cold or wet are completely normal. 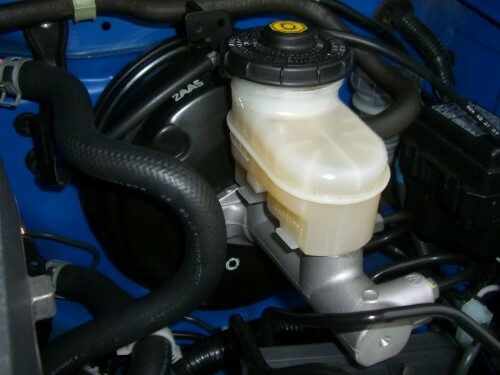 Brake fluid is hygroscopic so it readily absorbs moisture from the air. When it absorbs enough it can not only cause a spongy feeling in the pedal, it can also cause the seals and metal parts inside the braking system to corrode, causing leaks that can further diminish the hydraulic force that is sent to the wheels. If you notice that the level in the brake fluid reservoir is low, it could indicated that there is a leak somewhere in the system. To make sure your brake fluid is fresh and free of moisture it should be flushed and replaced at least once every two years and only use Honda-approved DOT 3 brake fluid from a sealed container. Quality brake rotors are vital to braking performance. The rotors provide a friction surface for the brake pads to grip and also dissipate the heat that is generated during braking. When rotors wear and get too thin, they lose some of that cooling ability which causes heat buildup that can warp the rotors. A warped rotor can feel like a pulse in the brake pedal or it can be a noticeable vibration in the steering wheel as your car comes to a stop. Over time, the vibration can even cause damage to ball joints and bushings in the suspension system if left too long. Genuine Honda Replacement Brake Rotors are built to take that heat time for lasting performance and reliability. They’re made with the optimum mix of materials and compounds to safely withstand long periods of wear and to help prevent overheating and warping. 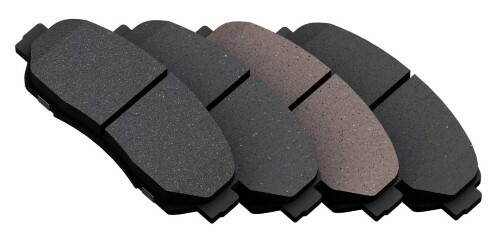 Brake pads are made from ceramic or semi-metallic materials that are designed to produce enough friction on your brake rotors and withstand the incredible heat that is produced during braking. Over time, your Honda's brake pads will wear and become thinner, diminishing their heat capacity, and if they get too thin they can damage the brake rotor and even the brake caliper. Genuine Honda Brake Pads are designed for exceptional braking performance are extensively tested on all Honda vehicles to ensure long life and quiet operation. If you've noticed any of these signs of brake wear, order online at BKHondaParts.com using the brake parts diagrams our comprehensive catalog or contact one of our Honda Parts Representatives by phone at 877-674-5525.